For this manicure, I started with a base of w7 White. 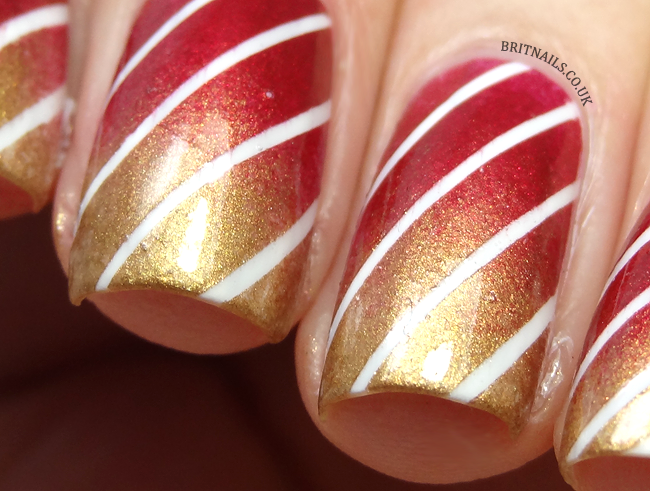 I sped up the drying time with No7 Stay Perfect top coat, then taped off some candy stripes with striping tape. 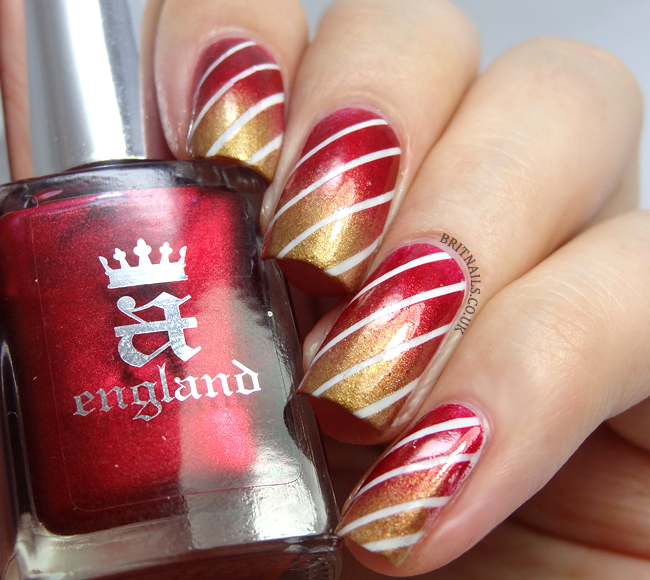 I painted a-england Perceval and H&M Golden Treasure on to a make up sponge, and sponged it over the tape to create a gradient. I removed the tape and finished with top coat. If you're in the UK, it's best to buy direct from http://a-england.co.uk! Gorgeous! 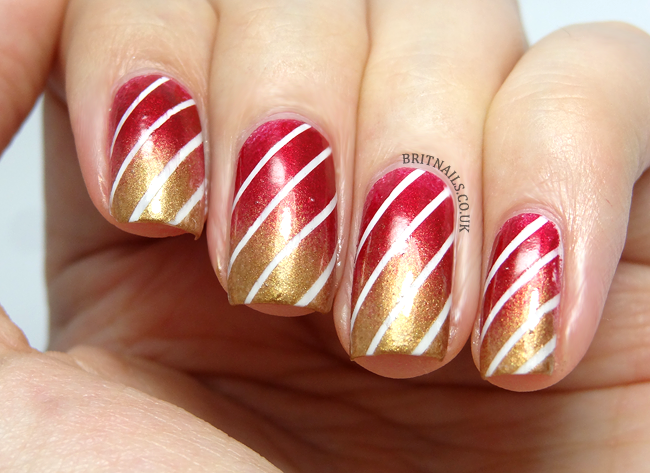 A fantastic final Christmas manicure. so pretty, i love how it came out!